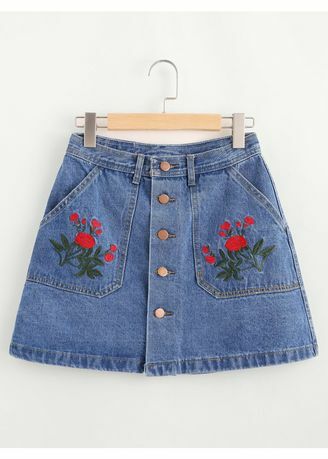 Get in vogue this season with this embroidered denim skirt. Buttoned down the middle and flanked by two pockets that sport the embroidery. Add a dainty belt to completment the skirt.